Just a short note this morning. I was pretty busy around the house yesterday and I have been battling a cold for the past week that keeps lingering. I hate being woken up coughing during the night. Anyway, this morning before I started to do some work around the house I took time to read articles and opinions from around the world and from many points of view on the meaning of President Trump’s assumption of office and inaugural address. They varied with from great concern and near panic to hope. What I am not going to do today is talk about details of those articles. They are all over the web and I encourage my readers to take the time to visit American newspapers and publications of various political and ideological points of view as well as the English language websites of European, Asian, and Middle Eastern news services, newspapers and journals. If you don’t have the time for that the New York Times Opinion section has a great interactive section with many writers of various political views from around the world that you can scroll through at your leisure as it goes on and on. But I really think that no-matter what your political beliefs or ideology are that it does help to read things outside of your bubble or comfort zone. Too many people never leave their bubble and it does us great harm because we don’t understand each other, we don’t know each other, and what we believe about each other is indelibly poisoned because all we see is the caricature, and not real people. 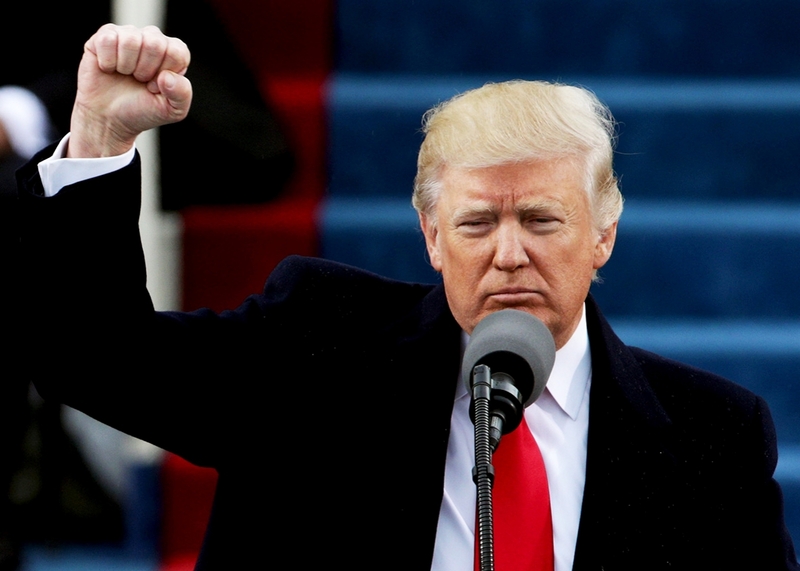 Anyway, my takeaway from President Trump’s inaugural address and subsequent remarks yesterday and today is that he is going to maintain a very small number of trusted advisors, and play off competing factions of the Republican Party and various Federal agencies, maintain his rhetoric to keep his personal base of voters in line all to ensure his personal power. I think that he will be successful in this as he seems to be rather genius at outmaneuvering his opponents. Those in the GOP who think that they can control him or to reign him in to their more traditional conservatism should take note of his words as he ripped the political class of Washington DC; his words were aimed as much at the GOP insiders as they were the Democrats. His administration will be centered on him. I am not going to speculate what the result of this will be, but I do think that it will be chaotic because that seems to be what he thrives on. After reading all of those reactions, re-watching the speech and his body language, and reading it again, I could not help but think that we are heading toward something we have never seen before in this country: an authoritarian leader at the helm of a populist movement that is not bound by party loyalty or ideology, whose opponents in both parties are disorganized and unable to grasp that the playing field itself has changed, as have the rules. That is something that gives President Trump with his executive authority a huge advantage. He will invoke this authority through executive orders to move faster than the Republican congressional majority or the divided Democrats can, and to bypass them and the media by communicating directly with his supporters. Anyway, those are just a few thoughts on the day after.